Even Roger Federer needs a photo ID to get where he's going at the Australian Open. So what if he's a six-time champion at Melbourne Park ... the owner of 20 Grand Slam titles in all ... a man who's spent more weeks ranked No. 1 than any other ... and one of the most famous athletes on the planet? A video showing Federer stopped by a security guard in a hallway outside a locker room at the Grand Slam tournament is making the rounds on Twitter, drawing a mix of amazement and amusement. In the clip, the guard is seen indicating to Federer that he is missing his tournament accreditation pass. Eventually, after he's joined by members of his entourage, Federer is allowed to go through the door. It even caught the attention of Indian cricketer Sachin Tendulkar, who shared the video with the caption: "Good to watch the security officer doing his job well at the @AustralianOpen. The manner in which @rogerfederer reacted was commendable as well. Such actions are not common today and they just increase the respect people have for great athletes like Roger." Raonic swept to 3-0 and 5-1 leads in the tiebreaker but Herbert rallied to level at 5-5. Herbert saved one match point before Raonic clinched the 2-hour, 1-minute match with an ace. Raonic will play the winner of the later match between fourth-seeded Alexander Zverev and Alex Bolt. Madison Keys has reached the second week of the Australian Open for the fourth time with a 6-3, 6-2 win over No. 12-seeded Elise Mertens. Keys, a semifinalist here in 2015 and runner-up at the 2017 U.S. Open, converted four of her seven break points and saved seven of the eight she faced against Mertens. "I'm definitely very happy with how I played today - especially how I served and got out of some could-be-bad situations," she said. The No. 17 seed didn't play any warm-up tournaments before the season's first major and says "I'm feeling a lot better now that I've had three wins." She has reached the semifinals at three of the last five Grand Slam events. Her opponent in the fourth round will be sixth-seeded Elina Svitolina, who came back from 3-0 down in the third set to beat Zhang Shuai 4-6, 6-4, 7-5. Ash Barty has withdrawn from the women's doubles on the eve of her fourth-round singles match against 2008 Australian Open champion Maria Sharapova. Barty, who is seeded 15th in singles, teamed with two-time Australian Open champion Victoria Azarenka in doubles. They beat No.16-seeded Peng Shuai and Yang Zhaoxuan in the first round but withdrew ahead of Saturday's scheduled match against Alison Riske and Jennifer Brady on Court 3, giving the American pair a walkover into the third round. Australian Open organizers said Barty, who is into the fourth round at her home Grand Slam for the first time, had a mild muscle strain. Kei Nishikori got through the third round in straight sets against Joao Sousa, getting a bit of relief after his first two matches at Melbourne Park went to five sets. The eighth-seeded Nishikori had a 7-6 (6), 6-1, 6-2 win on Margaret Court Arena right after Naomi Osaka's three-set comeback win over Hsieh Su-wei. Nishikori, the 2014 U.S. Open finalist, fended off 59 aces from 39-year-old Ivo Karlovic in the second round before winning the fifth-set tiebreaker 10-7. Sousa had also advanced through two five-setters and needed a medical time out in the third set. The last time Nishikori won consecutive matches in five sets at a major was at the U.S. Open in 2014, when he beat Milos Raonic and Stan Wawrinka in five on the way to his semifinal win over Novak Djokovic. It was Nishikori's third straight game on Margaret Court Arena, and he said he enjoyed the vibe - particularly after playing after fellow Japanese player Osaka, the U.S. Open champion. "Forehand has been working very well. Second and third sets I was playing really aggressive, and everything was working well," he said. 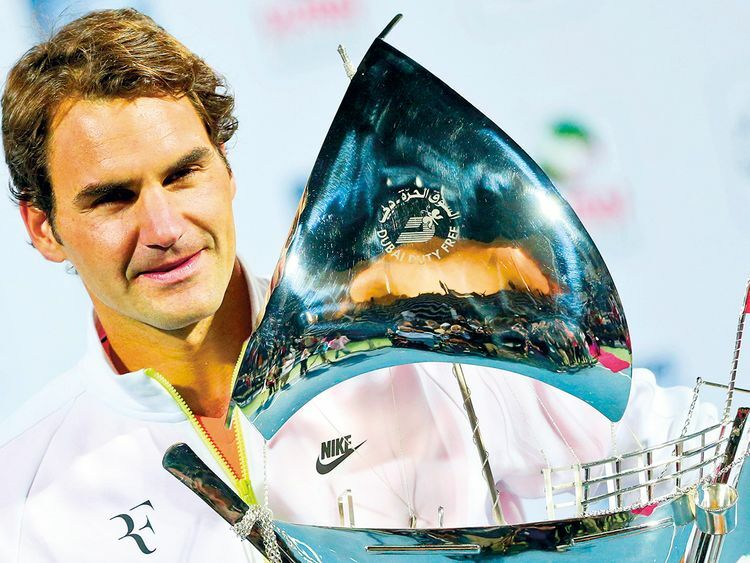 He has reached the fourth round in Australia for the seventh time and is on a roll after winning the season-opening tournament in Brisbane. Seven-time champion Serena Williams has advanced to the fourth round at Melbourne Park with a 6-2, 6-1 win over Dayana Yastremska. The 16th-seeded Williams has now won 20 consecutive sets at Melbourne Park, having not dropped a set in her 2017 title run and winning three rounds here this year in straight sets. She did not play here in 2018 following the birth of her daughter. Yamstremska received treatment during a medical timeout after she turned her right ankle while stretching to return a shot in the fifth game of the second set. Williams won her 84th match at Melbourne Park, which is more than any other woman in Australian Open history. She has lost just 10 matches in 18 appearances at the tournament. Williams, attempting to win a record 24th Grand Slam singles title, will next play either her sister Venus or top-seeded Simona Halep, who play later Saturday. Sixth-seeded Elina Svitolina came back from 3-0 down in the third set to beat Zhang Shuai 4-6, 6-4, 7-5 in the third round at Melbourne Park. Both players took medical timeouts during the almost three-hour match. Zhang took a medical time out after the second set ended and again after the fifth game of the final set when Svitolina was trailing 3-2. Zhang had received frequent treatment between games as well for a right shoulder or back ailment. Svitolina broke Zhang's serve in the sixth game to level the set at 3-3, then fended off two break points in the following game before holding to lead 4-3. Svitolina served for the match at 5-4 but Zhang broke to extend it. Svitolina hit a backhand passing shot to clinch the 11th game and take a 6-5 lead, then broke Zhang's serve in the final game, clinching the 2-hour, 55-minute match when Zhang hit a forehand into the net. Svitolina will play either Elise Mertens or Madison Keys in the fourth round. In the year he's celebrating the 50th anniversary since he completed the Grand Slam of winning all majors in one season, tennis great Rod Laver has taken to social media to praise teenager Alex de Minaur for his Australian Open performance against Rafael Nadal. A photograph he posted on his Twitter feed on Saturday, a day after de Minaur was beaten in three sets by Nadal in the third round, showed Australian Davis Cup captain Lleyton Hewitt with de Minaur on the day the teenager was first selected for Australia. "Alex, You've come a long way since this pic was taken at the AO last year on your making the Davis Cup team. I remember a teenage Rafa going down to Lleyton in the 3rd round back in 2004. And look what Rafa's done since," Laver, known as Rocket, said. "You're definitely on the right road." De Minaur can take some heart from the score of that Hewitt-Nadal match. Hewitt also won in straight sets, although the first two were in tiebreaks. De Minaur only won eight games in his match against Nadal on Friday. Nadal has won 17 major titles. U.S. Open champion Naomi Osaka overcame a frustrating first set and a tricky rival to reach the fourth round of the Australian Open with a 5-7, 6-4, 6-1 win over Hsieh Su-wei. The fourth-seeded Osaka got a warning from the umpire for smashing her racket onto the court in the first set and was down a break in the second before gaining control of the match. The 33-year-old Hsieh, who plays with a double-handed grip on both sides and uses a mixture of spin and slice and drop shots to unsettle her rivals, reached the fourth round last year here and at Wimbledon, where she beat top-ranked Simona Halep. U.S. Open champion Naomi Osaka has started her third-round match at the Australian Open against Hsieh Su-wei on Margaret Court Arena. Serena Williams will continue her bid for an eighth Australian title and an Open-era record 24th Grand Slam singles title overall when she plays Dayana Yastremska later Saturday on Rod Laver Arena. A win for Williams on day six of the tournament will set up a fourth-round match against either her older sister, Venus, or top-ranked Simona Halep. Top-ranked Novak Djokovic headlines the men's draw, and has a night match against rising Canadian Denis Shapovalov. The forecast is for a mild, sunny day in Melbourne with a top temperature of 22 Celsius (72 F).